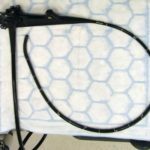 A seven-month study recently published by the American Journal of Infection Control found that 60% of gastroscopes and colonoscopes examined tested positive for certain bacterial growth. These bacteria were detected even after being disinfected using the current manufacturer guidelines or additional measures. The scopes examined as part of the study were all manufactured by Olympus Corp., and all were relatively new at the beginning of the study. The study raises additional concern over the ability of hospitals to adequately clean their endoscopes. This article by Chad Terhune at Kaiser Health News examines the study in further detail. “”Physicians, other caregivers, hospitals and regulators should be paying keen attention to this issue, as patients have a right to assume that clean instruments are being used on them,” said Cori Ofstead, the study’s lead author and an epidemiologist in St. Paul, Minn. Since 2015, federal prosecutors, lawmakers and government regulators have been investigating a series of outbreaks of antibiotic-resistant “superbugs” across the country tied to scopes. Most of the scrutiny has been focused on a specific device known as a duodenoscope, which is used to inspect and treat problems in the gastrointestinal tract. It has been tied to at least 35 deaths in the past four years. With more types of scopes being identified as possible sources of patient infection, hospitals must continue to improve upon their endoscope reprocessing efforts. As the study notes, “these findings bolster the need for routine visual inspection and cleaning verification tests recommended in new reprocessing guidelines”. Staff, processes and technology should all be examined as potential avenues to strengthen infection prevention efforts, with an aim at ensuring standardization and consistency across the hospital and/or health system. A potential superbug linked to contaminated gastroscopes at UPMC in Pittsburgh, PA was discussed in a recent article in the Pittsburgh Tribune-Review (01/03/17). The author, Dr. Lawrence Muscarella, wrote that the infected gastroscopes may have infected up to 6 patients with carbapenem-resistant Klebsiella pneumoniae (CRKP), a deadly superbug. ““All six patients who received medical care in the hospital’s surgical intensive care unit were ‘exposed’ to the same gastroscope (The abstract uses the word ‘exposed’ presumably to refer to this gastroscope being used to perform endoscopy on each of these six patients),” Dr. Muscarella writes – adding the authors of the abstract suspected the gastroscope had become contaminated with the cluster’s superbug and subsequently transmitted to each of the six patients, much in the same way that endoscopes and duodenoscopes have passed along infection to other patients, or so it has been alleged. With outbreaks linked to gastroscopes joining the many reported outbreaks from infected duodenoscopes, the danger to endoscope manufacturers, healthcare facilities, and most importantly patients continues to grow. Hospitals must double down their efforts to ensure their endoscope reprocessing practices are meeting the highest standards in order to protect themselves from potential lawsuits. FujiFilm Medical Systems, USA Endoscopy Division (“FMSU-ESD”) declared this week that it is removing some of its older model duodenoscopes from the market. According to FujiFilm, the ED-250XL5, ED-250XT5, ED-450XL5, and ED-450XT5 model duodenoscopes are the models that are being recalled. “These devices are indicated for the visualization of the duodenum and upper digestive tract, specifically for the observation, diagnosis, and endoscopic treatment of the esophagus, stomach, and duodenum. After discussions with the U.S. Food and Drug Administration, FMSU-ESD has made a business decision to replace these older duodenoscope models with the currently marketed model, the ED-530XT. This removal will result in the exclusion of these legacy models from the scope of the FDA 522 order. As a result of this product removal, FMSU-ESD is hereby requesting the return of all 250 and 450-series model duodenoscopes from your facility. “Duodenoscopes are used for a procedure called endoscopic retrograde cholangiopancreatography, in which a reusable tube-like camera is inserted into a patient’s throat. More than 500,000 ERCPs using the scopes are performed annually in the U.S.
We at Mobile Aspects have seen usage of duodenoscopes drastically reduced or even stopped over the past few years due to the linkage with the superbug outbreaks. We expect that this will be standard operating procedure across many facilities until clearer guidance is received from the FDA and the endoscope manufacturers. Technavio, a technology research and advisory company, has released a five-year forecast for the global gastrointestinal (GI) endoscopy devices market. Their research shows an expected cumulative average growth rate of nearly 6% from 2016-2020. This large and growing market is expected to reach a total size of $5 billion by 2020. The global move towards minimally invasive procedures is driving the trend, despite the recent uptick in publicized outbreaks related to endoscope usage. This press release from Technavio details how large the market is and why it continues to grow. “One of the most important drivers of this market is the growing popularity of minimally invasive procedures. Traditional open surgeries with longer recovery times are on a decline due to related complications and availability of safe and efficient minimally invasive surgeries. With this, there is a growing demand for devices like GI endoscopes from various medical facilities. Combined with the advances in the medical field, general open surgeries will soon be obsolete and minimally invasive surgeries will be the most adopted form of treatment. With endoscope-related procedures showing no signs of slowing down, hospitals must get used to the trend of minimally invasive procedures. With this, the risk of outbreaks due to poor endoscope reprocessing practices increases due to sheer volume alone. Hospitals must increase their vigilance and be prepared for the volume increases by getting the right processes, people and technology on board. Go here for more information about managing endoscopes. How Will Recent FDA Guidance On Endoscope Reprocessing Impact Hospitals? With all the recent outbreaks related to flexible endoscope usage, proper cleaning of scopes continues to be top of mind for hospitals and patients. The FDA has recently released guidance on mitigating the risk from cross-contamination of scopes, which can be found here. Whether or not this guidance will help reduce the likelihood of a hospital having cross-contamination issues remains to be seen. This article found at LawyersandSettlements.com by Gordon Gibb discusses the recent FDA guidance as well as other recent recommendations from AAMI and Stanford University School of Medicine. “The FDA recommendations and guidance, in part, address the potential for contamination from backflow to water bottles via irrigation channels that don’t feature a backflow-prevention mechanism. Contamination returned to the water bottle via backflow can foster cross-contamination should the same water bottle be deployed for use with another patient, unless the bottle and related components are properly disinfected or discarded altogether. Hospitals must continue to update their processes to minimize the risks of infection from flexible endoscope usage. Recent guidance from the FDA, AAMI and Stanford shed new light on the subject. Hospital employees must be vigilant to implement and follow these best practices as they come out, and revise processes that may subject their patients to risks. These will be areas to focus on in 2017. A leading organization again named Endoscope Reprocessing one of its top 10 Health Technology Hazards for 2017. For several years now, ECRI Institute has listed Endoscope Reprocessing near the top of its annual list of health technology hazards. ECRI (www.ecri.org), a nonprofit organization, dedicates itself to bringing the discipline of applied scientific research to healthcare to discover which medical procedures, devices, drugs, and processes are best to enable improved patient care. For years we at Mobile Aspects have known about the high risks associated with improper reprocessing of flexible endoscopes. There has been increased scrutiny of outbreaks associated with improperly re-processed endoscopes in the US over the last several years, and ECRI’s placement of this risk as its #2 health technology hazard brings to light how acute of an issue this is. “Outbreaks associated with the use of contaminated duodenoscopes—such as those that caused headlines in recent years—illustrate the severity of this issue. But duodenoscopes are not the only devices that warrant attention. ECRI Institute has received reports involving a variety of contaminated medical instruments that have been used, or almost used, on patients. Complex, reusable instruments—such as endoscopes, cannulated drills, and arthroscopic shavers—are of particular concern. They can be difficult to clean and then disinfect or sterilize (i.e., reprocess) between uses, and the presence of any lingering contamination on, or in, the instrument can be difficult to detect. Hospitals must step up their efforts to ensure that flexible endoscopes are being properly re-processed by their staff, and staff must be held accountable for any mis-steps along the way. Proper documentation surrounding re-processing of all medical instruments, including flexible endoscopes, must be maintained. This article found at Kaiser Health News by Chad Terhune discusses the recent decision by Olympus to invoke their 5th Amendment right against self-incrimination. “Olympus said it doesn’t comment on pending litigation. Previously, the company has said that patient safety is a top priority and it’s working with the proper authorities to address any scope-related issues. The company recalled its duodenoscopes in January and did repairs over several months to reduce the risk of infection. Duodenoscopes are threaded down a person’s throat to diagnose and treat digestive tract problems such as gallstones, cancers and bile duct blockages. The tip of the snake-like device has proven difficult to clean even when following the manufacturer’s instructions, and antibiotic-resistant bacteria known as superbugs can spread from one patient to another. As much as hospitals would like to point the blame at endoscope manufacturers for the recent outbreaks, litigating such matters can be an uphill battle. Hospitals and their staff must do all they can to ensure they are meeting or exceeding recommended guidelines for endoscope reprocessing. In the unfortunate event of an outbreak, hospitals must also be prepared with electronic documentation to ensure that potentially infected patients are notified and brought in for testing as soon as possible. Progress in patient safety has been a challenge in many areas of the hospital and many facilities have made significant changes in their practice of reprocessing endoscopes. With this said, guidelines and practice are in a continuous state of change. It is the responsibility of the hospital to make sure they do not become too satisfied with current practices. Practice Inconsistency – The main cause of endoscopy associated infections is failure to adhere to reprocessing guidelines. There is a need to audit mundane task related to endoscope reprocessing. Pay particular attention to individuals who are crossed trained and may not do endoscope reprocessing on a regular basis. Guideline adherence and employee perceptions on practices can impact outcomes. Workflow Design – Review ergonomic layouts of the reprocessing area as new staff is hired or additional staff is crossed trained. There have been reports of physical discomfort (i.e., back pain, decreased flexibility, numbness, or tingling) associated with the task and time spent reprocessing. Also, if new equipment is brought into the facility, such as endoscope storage cabinets, make sure the staff can reach the hooks to hang the scopes since newer cabinets are taller and designed with the most recent guidelines for storage. Documentation – Data needs to be reviewed on a regular basis. Collecting manual data is a task that can be impacted by human error or simply not completed in full. Regular reviews of this data will be crucial to a culture of endoscope safety and the staff will notice how often it is reviewed. Automated data also need to be reviewed and discussed with staff on a routine basis. Manufacture Recommendations – Guidelines for reprocessing new endoscopes should be adhered to. There are reports of incidents when new scopes are acquired, existing practices are grand-fathered. A thorough review of manufacture cleaning instructions by two separate individuals if possible, can identify any variance or complete change of practice. Trust Conservatism – Challenge manufacture guidelines if necessary. Due to their complex design, duodenoscopes have been long recognized to be difficult to clean and many staff members expressed concern. Manufacturer recommended high-level disinfection protocols for duodenoscopes were considered inadequate resulting in national attention and reports. Another area is in regards to drying endoscopes, just because a manufacture of a disinfectant deemphasizes the importance of drying between uses or prior to storage, best practice is to continue to do so. Even the best state of the art reprocessing workspaces and practices can benefit from periodic review and modifications. Change is all around in healthcare and it is in everyone’s best interest to share out thoughts to improve patient safety today and in the future. There is no reason we can not take the same approach to endoscope reprocessing. Each one of these steps require manual or electronic data recording. Documentation of the patient name for clinical and billing purposes, recording the scope used on each patient in the event of a infectious outbreak, storing scopes and properly tracking shelf life prior to reprocessing, capturing complex reprocessing steps including testing solutions used. Last but not least, there is a challenge of accurately capturing all the critical data required for procedural, regulatory and patient safety compliance. Even facilities with stringent reprocessing procedures face the challenge of staff distractions, differences in manufacture guidelines, cutting corners of some of the mundane task, either out of necessity because of staffing shortages or to increase throughput due to the increased amount of endoscope procedures. ECRI continuously list endoscope reprocessing as one of their annual “Top 10 Patient Safety Concerns” primarily due to the complexity of cleaning and the the transmission of infectious agents. Increased recalls and litigation are gaining media attention coast to coast, sometimes giving health systems with reputations of excellent care a bad name. Scope manufactures are also getting negative press. All the steps of endoscope use, cleaning and storage need to be documented making data capture the common denominator and the area that the staff needs the most support. Contact Mobile Aspects if you would like more information. For information on iRIScope click here. To obtain a copy the ECRI report click here. Charles Cowles, Anesthesiologist and Chief Perioperative Safety Officer (MD Anderson Cancer Center) has leveraged his experience as a firefighter and exposure to other industries to discuss how hospitals can build on their patient safety committees taking a departmental team approach. As more medical errors are reported, Dr Cowles noted the severity of preventable errors with a study of Medicare patients, 1 in 7 (13.5%) experienced at least one serious event that prolonged hospital stay. Additional 13.5% had event with less serious harm. To be more precise, medical errors would be the #3 cause of deaths in the United States, right behind heart disease and cancer. Dr. Cowles emphasizes leveraging you best talent, which is your staff. Taking a team work approach to patient safety is not only effective, it also a conduit to better communication since team members bond and speak up about concerns or ideas that may never reach the committee. He discusses attributes to look for in a team leader and the important of department level drills that are practiced on a routine basis to reinforce current knowledge and provide a training exercise for new staff. At MD Anderson, Dr. Cowles has implemented both big and small patient safety initiatives. During a department drill one of his team was told to evacuate to another building/ floor only to find out the elevator they tried to use could not accommodate a patient bed. That led to surveying each elevator in his facility and identifying (and clearly marking) elevators that cannot fit a patient bed. Last but not least he discussed how department level team members can play a role in staff meetings and day to day operations, yielding feedback from staff which may not reach the committee level. This proactive communication can be very valuable and a solution can be discussed in a timely matter. Teams can then share there results with the main committee during their standard meeting times.